Gold Coins: Which is Right for You? Home » Investing Resources » Gold Resources » Gold Coins: Which is Right for You? Gold coins can be an excellent investment option, especially if you are looking to avoid the volatility of traditional stocks. But with several different options to choose from, from numismatic coins to modern bullion and even IRAs backed by precious metal coins, you probably have many questions right now. ➜ Bullion coins vs. Numismatic coins…What’s the difference? ➜ I’m interested in IRAs backed by gold coins. Can you tell me more? ➜ Are you ready to find the right investment for your needs? Which coins are right for my financial situation and long term goals? How do I buy gold, and where do I get it? Should I be looking at numismatic coins or bullion coins – and what’s the difference? What kind of growth should I expect from the coins I purchase? How do I keep track of the value of my gold? These are all great questions, and you may find the answers you’re looking for in the information below. But when you’re ready to take the next step, an experienced precious metals specialist can provide you with additional resources and helpful answers that are personalized for your specific situation. Let’s start by taking a look at the two primary types of gold coins: numismatic and bullion. Gold bullion coins get their value primarily from their weight or their content of precious metals. Essentially, you’re investing in gold – a finite resource, which makes it a great strategy for preserving your wealth into the future. Unlike numismatic coins, which were generally minted to be circulated, bullion has no numismatic value. Bullion coins are an extremely liquid investment – they are real, tangible assets. An example of a coin minted for bullion is the American Gold Eagle coin, first released by the United States Mint in 1986, under the Gold Bullion Act of 1985. The American Gold Eagle is offered in denominations of 1/10 oz., 1/4 oz., 1/2 oz., and 1 oz. The 1 oz. version has a face value of $50; however, since the coin’s value is determined primarily by its weight, the coin fetched prices around $1,800 in 2012. Numismatic coins offer diversification from only one single method of valuation. That’s because their value is derived from not just their gold content, but also their scarcity and condition. Numismatic coins were minted prior to 1933 and are therefore rarer than modern bullion. The coins are certified authentic by the Professional Coin Grading Service (PCGS) or the Numismatic Guaranty Corporation (NGC). For maximum growth potential, many advisors recommend converting all non-retirement liquid assets, such as CDs, money market accounts and low-yield savings into numismatic gold coins. Gold buyers and investors who want maximum protection of their retirement funds can invest in an Individual Retirement Account (IRA) backed by gold coins or a mix of other precious metals. Over the last few years, many investors and soon-to-be-retirees watched their stock-based retirement accounts get eaten away by global economic factors. Yet, this same economic instability, which threatens the value of stocks, is what typically increases the value of gold. This is why many Americans are now converting their accounts into gold-backed IRAs – to safeguard their savings from the volatility of other markets, and protect their future. You have the option of rolling over a 401(k) or IRA into a precious metals IRA. One investment option for your precious metals IRA is the American Eagle proof coins, which are produced in limited quantities each year and were intended by the U.S. Mint to be used as a retirement planning option. 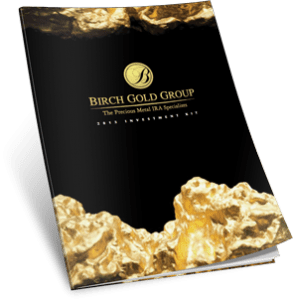 As a leading precious metals company, Birch Gold Group can educate you on your gold-buying options and make personalized recommendations based on your goals. We offer both bullion and numismatic gold coins, as well as precious metals IRAs. Rated an A+ company by the Better Business Bureau, we are known for our integrity, exemplary customer service and our commitment to client satisfaction. When you contact Birch Gold Group, you will receive straightforward answers from a knowledgeable gold specialist. We are happy to make informed recommendations for your specific financial goals, and you can rest easy knowing that we never use high-pressure sales tactics. 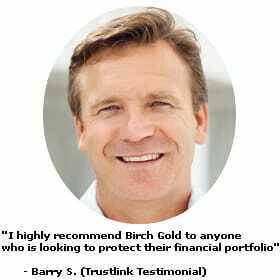 Call Birch Gold today at (800)355-2116 or fill out the form on this page for more information on investing in gold coins.